packaged sets that meet the criteria of grip size, weight and shaft flex. These sets are suitable for children up to the height of 150 centimetres, so there is no need for professional fitting for each club in the bag. The Right Golf Balls Finally, you need to consider the type of golf balls your child should use. 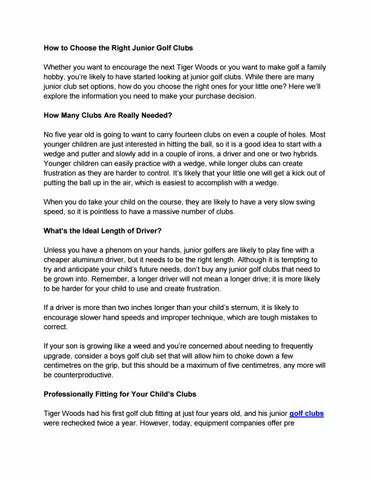 The chances are that your child will have a slow swing speed, so there is no real need to maximise the distance enhancing properties of golf balls. Juniors don’t tend to compress balls or generate a lot of spin, so they are likely to be better suited to a ball with a softer cover that will stay in the air longer and spin more. Many sets of junior golf clubs will be provided with a couple of soft compression balls, but you don’t need to be limited to balls specifically made for juniors. Just look for balls with super soft cores to help maximise distance and help your child launch their ball higher. 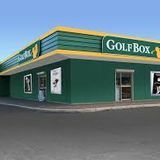 If you’re considering junior golf clubs, Golfbox is here to help, and our team would be delighted to answer any of your questions.